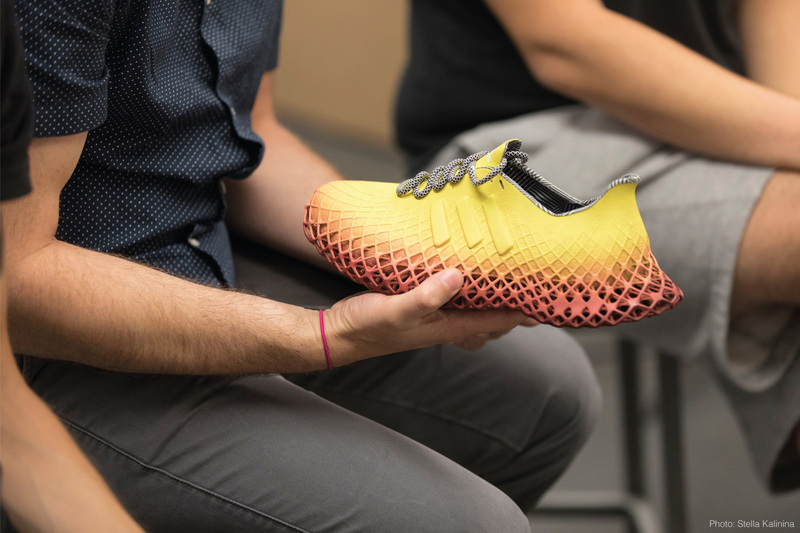 3D printing is not only an insanely effective technology allowing to create footwear that isn’t just unique or difficult to counterfeit, it also means designers and scientists have zero constraints. 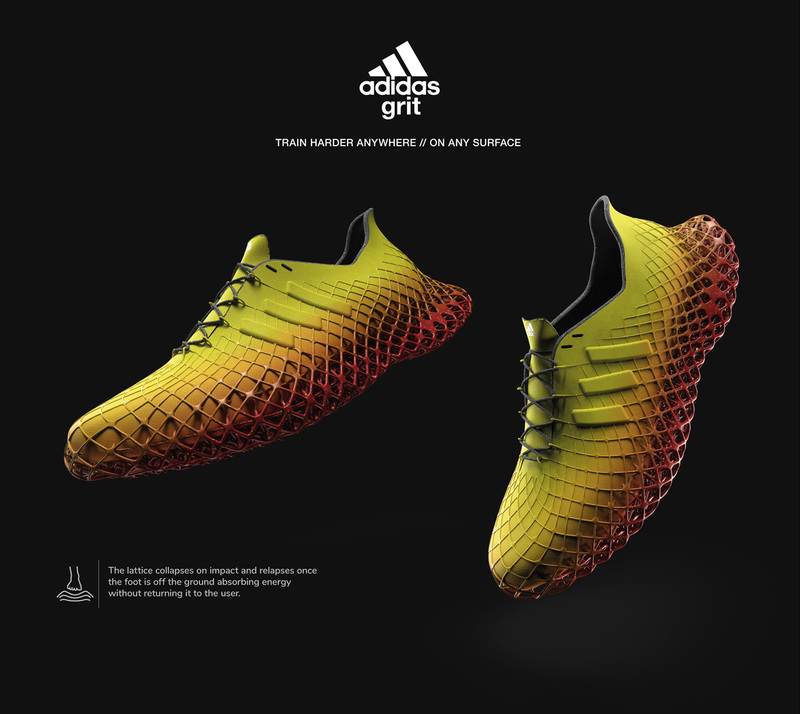 Designing for pure function and aesthetics, shoe production will not be hindered by molding/manufacturing capabilities, and the Adidas Grit seems like a prime example. 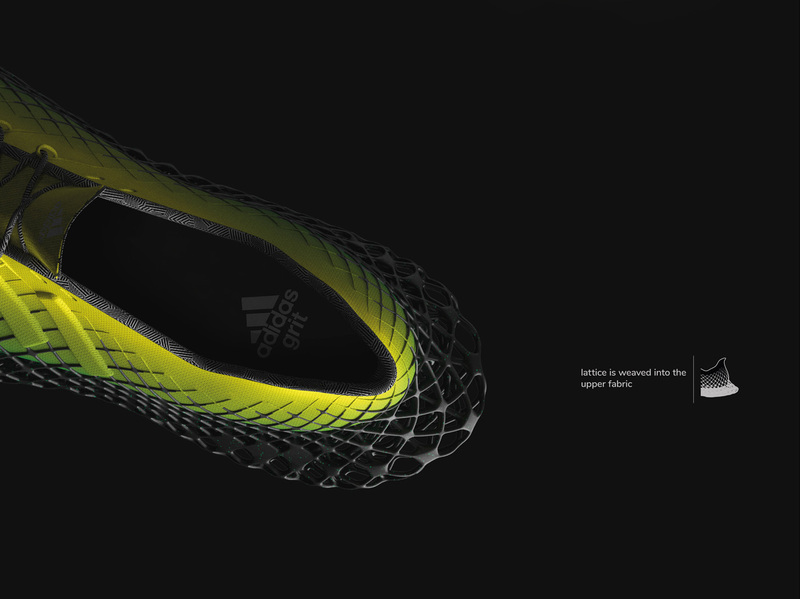 Designed with a sole that is a shock-absorber in itself, the Grit has a design so mesmeric and unique, you can’t really tell where the midsole or the outsole begins on the shoe. 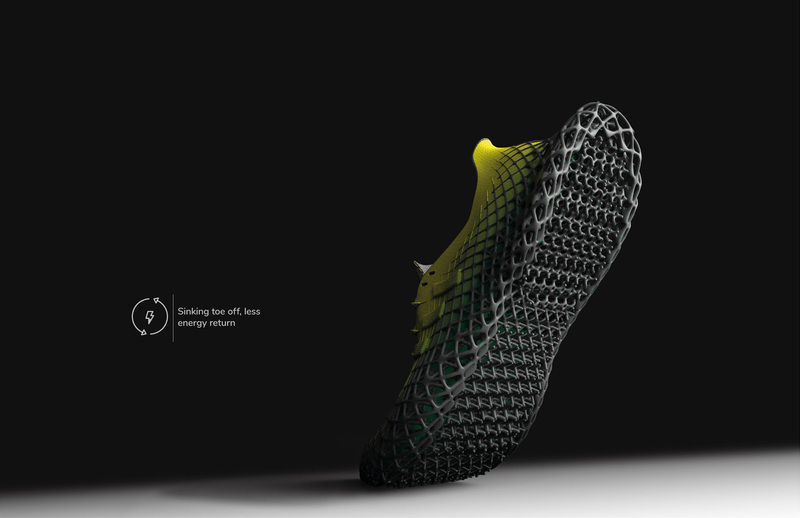 Designed with a sole that wraps itself around the upper half of the shoe like crazy cobwebs, the Grit was made to make you feel like you’re running on air. 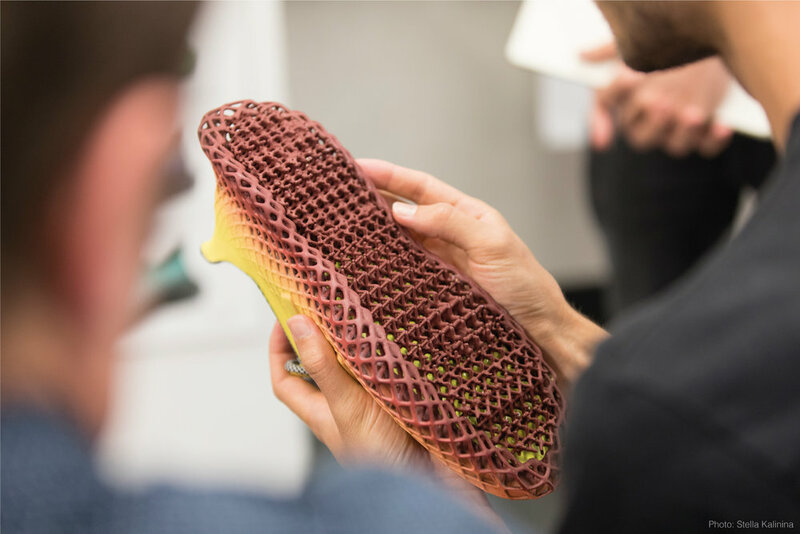 The latticed sole collapses when your foot lands on the ground, and material physics pushes it to expand when your foot is lifting off the ground too, allowing it to absorb impact, and release energy. 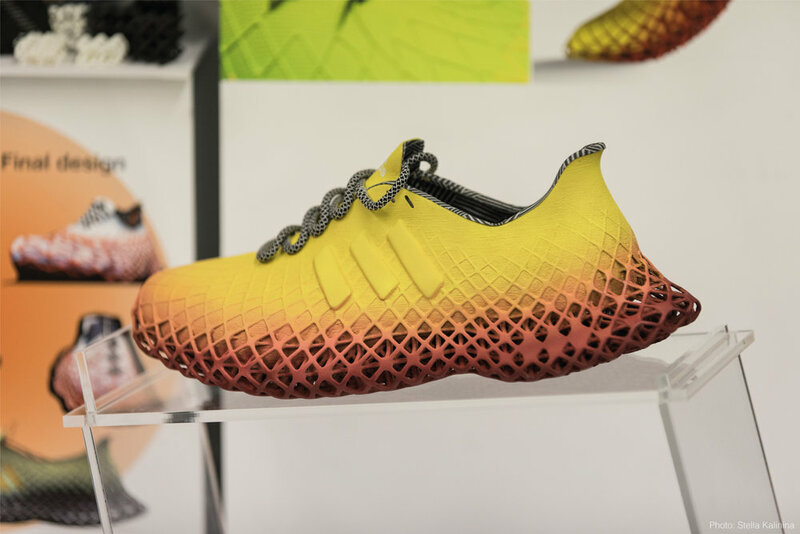 Fantastic, isn’t it? 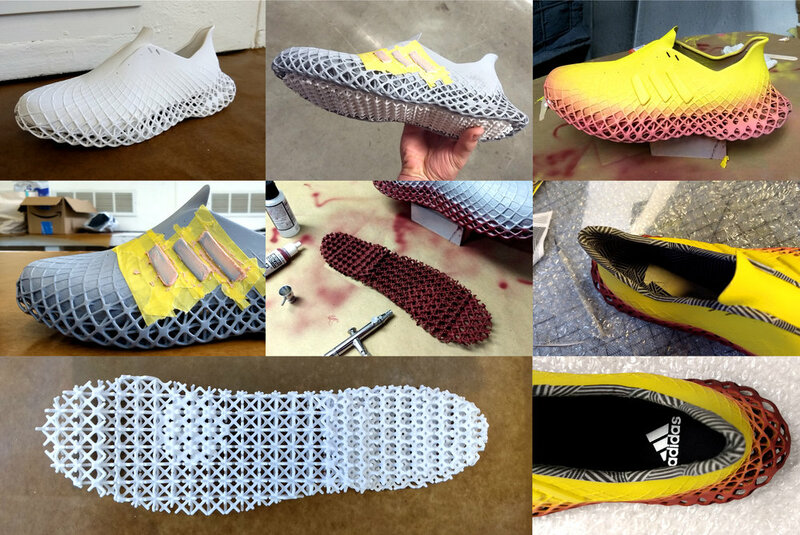 Want to see more modern shoes? 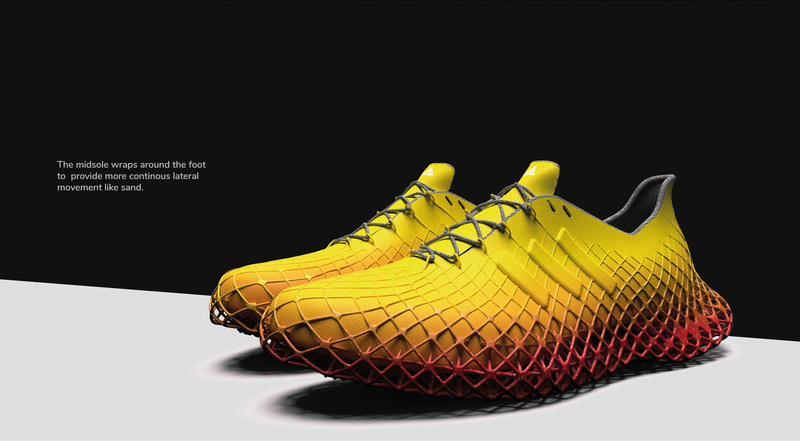 Check other our post: World’s Most Expensive Shoes.